In Match 28 of VIVO Indian Premier League (IPL 2019) Kings XI Punjab will host Royal Challengers Bangalore at PCA IS Bindra Stadium in Mohali on Saturday. After six straight defeats, Virat Kohli-led Royal Challengers Bangalore will look to stay afloat when they take on an inconsistent Kings XI Punjab. 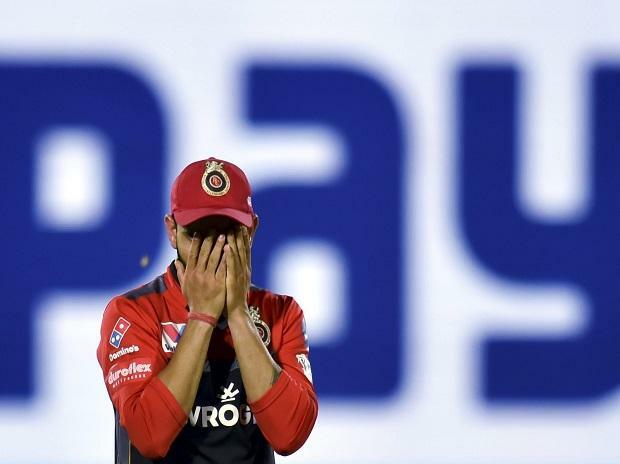 Nothing seems to be going right for RCB, who slumped to their sixth straight loss after going down against Delhi Capitals in their IPL match last Sunday. Kohli, who was recently named the Leading Cricketer of the year for the third successive time by Wisden Almanack, will hope that fortunes finally knock at the doors of RCB as they need to win all their next eight matches to salvage any hope of making it to the play-off. However, RCB will get a major boost as Dale Steyn has replaced injured Nathan Coulter-Nile in RCB squad. Royal Challengers Bangalore have been inconsistent, with both their bowling and batting faltering in many occasions. The RCB bowlers had allowed Sunrisers Hyderabad to post a mammoth 232 with centuries from Jonny Bairstow and David Warner before they were skittled out for 113 to lose the match by a massive 118 runs. Against Kolkata Knight Riders, despite AB de Villiers and Kohli scoring 63 and 84 respectively, RCB bowlers failed to defend 205 with KKR riding on Andre Russell's explosive knock of 13-ball 48 to romp home. Yuzvendra Chahal has been their top bowler with nine wickets but rest of the bowling line-up conceded far too many runs. RCB's batting too has looked equally inconsistent. In their first match against Chennai Super Kings, RCB were bowled out for a paltry 70 in 17.1 overs after their top-order crumbled against Harbhajan Singh and Imran Tahir. Against Delhi Capitals, barring Kohli's 33-ball 41 and Moeen Ali's 18-ball 32 cameo, RCB's ordinary batting display took the side to a modest 149/8, a target which was easily achieved by DC. "We need to grab those chances, can't give excuses every day. We just weren't good on the given day. That's the whole story of RCB this season," Kohli had said after the match. "When you have clarity, you can take your chances better. It hasn't happened so far, and that's the reality." Kings XI Punjab have won four matches out of seven but they have maintained dominance on home ground. However, Punjab failed to defend 197 against Mumbai Indians in their last match with Kieron Pollard's knock of 31-ball 83 blowing them away. Despite the loss, KXIP's batting has done well with opener K L Rahul, who scored unbeaten century against Mumbai, and Chris Gayle looking in devastating form. Gayle had felt a twitch in the back in the previous encounter against Mumbai and it remains to be seen if he would be available for Saturday's clash against RCB Kings XI also has the likes of David Miller and Mandeep Singh and the side will look forward to some big knocks from them as well. The pace-spin duo of Mohammad Shami and Ashwin has been KXIP's best bowlers and they would look to put another good show. Among others, Ankit Rajpoot, Sam Curran, Hardus Viljoen, Mujeeb Ur Rahman, Andrew Tye would also look to provide depth to the Kings XI bowling. KXIP vs RCB match live streaming will be available live on Star Sports 1 HD, Star Sports 1 in English Commentary and Star Sports 1 Hindi, Star Sports 1 Hindi HD in Hindi Commentary. One can also live stream the KXIP vs RCB 2019 IPL match on Hotstar app and Tatasky app. The fans can also watch in-depth analysis of live match on Star Sports Select 1, Star Sports Select 1 HD. RCB squad: Virat Kohli (C), Parthiv Patel, AB de Villiers, Colin de Grandhomme, Umesh Yadav, Yuzvendra Chahal, Moeen Ali, Shimron Hetmyer, Shivam Dube, Mohammed Siraj, Navdeep Saini, Devdutt Padikkal, Himmat Singh, Milind Kumar, Gurkeerat Singh Mann, Heinrich Klaasen, Pawan Negi, Washington Sundar, Akshdeep Nath, Prayas Barman, Kulwant Khejroliya and Tim Southee. KXIP squad: KL Rahul (WK), Chris Gayle, Mayank Agarwal, Sarfaraz Khan, David Miller, Mandeep Singh, Sam Curran, Ravichandran Ashwin (C), Andrew Tye, Murugan Ashwin, Mohammed Shami, Mujeeb Ur Rehman, Karun Nair, Moises Henriques, Varun Chakravarthi, Harpreet Brar, Simran Singh, Nicholas Pooran (wk), Hardus Viljoen, Ankit Rajpoot, Arshdeep Singh, Darshan Nalkande, Agnivesh Ayachi.